The electronic duo plots a new album. 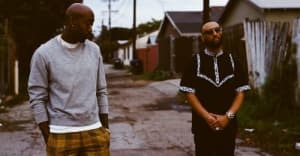 Freddie Gibbs has stayed busy since dropping Shadow Of Doubt last November. So far in 2016, he let loose a pair of freestyles, remixed Kanye West's "No More Parties In L.A.," announced a tour, and put together a visual for "Freddie Gordy." He also found the time to hit the studio with Zeds Dead, and the result of their collaboration, "Back Home," surfaced today. According to Pitchfork, the song will appear later this year on Zeds Dead's next album. The duo also started a new label, Deadbeats, which will release the record. Listen below.